The King, the Intimidator, and the Jimmy? 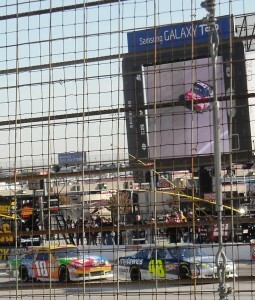 Yesterday Jimmy Johnson won his sixth NASCAR championship. Johnson won five straight titles from 2006 to 2010 before returning to his winning ways by capturing the 2013 title. Aside from needing a second hand for all of the Championship rings, the sixth victory places Johnson one title away from tying two of the legends of the sport, Richard “The King” Petty and Dale “Intimidator” Earnhardt who both have seven championships. It should also be noted that aside from having seven championships Petty and Earnhardt have something else that Jimmy Johnson does not have, nicknames. 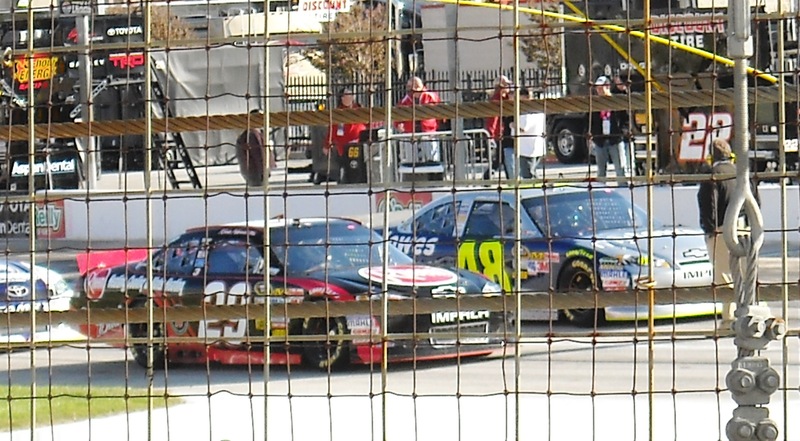 Kyle Busch (rear) has a nickname and more wins in the Nationwide Series than any other driver in the history of the series. Jimmy Johnson does not have a nickname, but he does have six NASCAR Championships. Throughout its storied history NASCAR has been a sport with colorful cars and even more colorful personalities who seemed larger than life and had the nickname to go with it. In addition to “King” and “Intimidator” some of the other top nicknames throughout the ranks of NASCAR include, Glenn “Fireball” Roberts, David “The Silver Fox” Pearson, Ricky “Ironman” Rudd, Jimmy “Mr. Excitement” Spencer, Bill “Awesome Bill from Dawsonville” Elliott, Tony “Smoke” Stewart, Kyle “Rowdy” Busch, Kevin “Happy” Harvick and Darrell “Jaws” Waltrip. Yes I know that people were calling Johnson “Five Time” when he had five titles and very well could call him “Six Pack” now but that does not really count in terms of a nickname. And yes there are several drivers like Jimmy Johnson who seem to suffer from nickname deficiency. 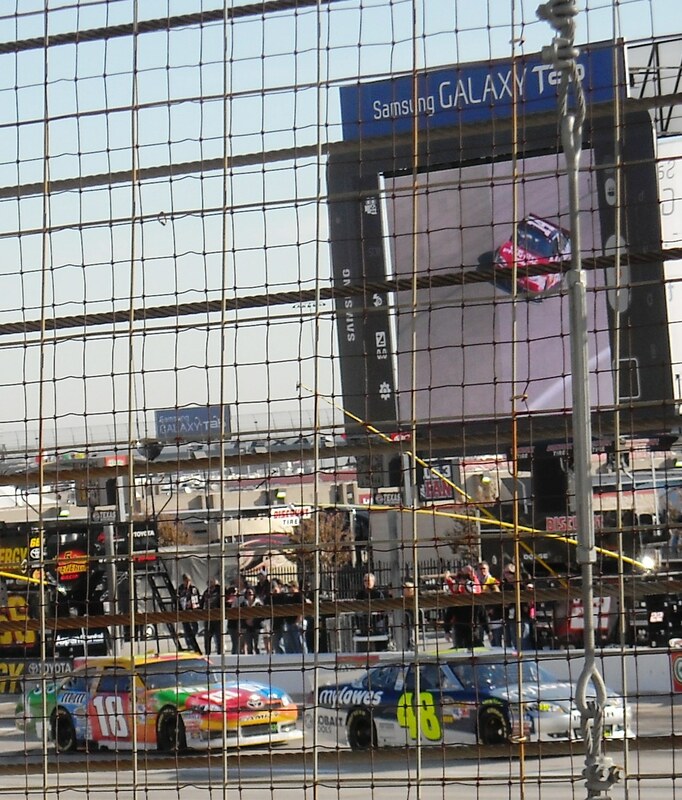 Jeff Gordon, Jeff Burton, Mark Martin, and Matt Kenseth are among the drivers in the garage area without nicknames. The fact remains that a driver who is one Championship away from joining the upper elite ranks of NASCAR champions and two titles away from having the most ever does not have a nickname. Call me crazy but a man with six titles going on seven, with Hall of Fame type credentials is the type of driver that should have a nickname. Throughout Johnson’s career there have been several attempts to come up with a nickname but non aside from the “let’s say how many titles he has” variety have stuck. Kevin “Happy” Harvick finished third in the Sprint Cup standings to Jimmy Johnson. 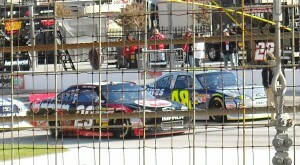 That is not to say that Jimmy Johnson is not a good driver. I think the fact that only two other drivers have more Championships shows that he is among the top to ever race in the sport but his lack of a nickname and the fact that he makes winning look so easy has certainly rubbed some fans the wrong way through the years. I suppose one could combine those two areas and nickname him “Easy Driver” but that does not really seem like the type of nickname that would look good on a t-shirt in the infield. One could try to come up with a nickname related to Johnson’s number and sponsor but “Lowe 48” sounds too much like lower 48 and might make fans in Alaska and Hawaii feel like the lower 48 states are picking on them again. So number and sponsor does not work for a nickname and “JJ” is not really a nickname either which brings us back to the drawing board. Of course since all of Johnson’s titles have been with crew chief Chad Knaus on the pit box people might go so far as to say that the nickname should be Jimmy “Thanks to Chad” Johnson but that does not seem to fit either. So once again Jimmy Johnson will be at the head table at the NASCAR Awards banquet and once again no nickname will be announced when he is introduced to give his speech. Between them Jeff Gordon and Jimmy Johnson have 10 NASCAR titles. One thing they don’t have are nicknames proving that nicknames may make the driver more colorful but they don’t necessary make them fast. Such is the nature of NASCAR these days when a man can win six titles and drive so fast in the process that he does not have time for a nickname. Here’s to hoping that Jimmy Johnson can spend some time this off season after the usual rounds on the talk shows and Sports Center and come up with a nickname. While a nickname certainly won’t convert me to the Johnson camp it may do a world of good for some of those other fans who are on the fence and like their drivers to have a nickname to go along with the ability to make left turns at a high rate of speed. Now if you’ll excuse me, I am off to plug some more words into the nickname generator to see what sticks.